The last few weeks have brought with them icy conditions and bitterly cold temperatures that one would normally associate with this time of year. You would be forgiven for wanting to hibernate indoors and sitting with your feet up in front of an open fire. However, those brave enough to wander outside have been greeted with starry skies and clear views of the stars overhead, creating a uniquely romantic setting. While many cruise passengers embark on holidays to warmer destinations including the Canary Islands at this time of year, an alternative option definitely worth considering is Iceland. In addition to seeing an abundance of spectacular natural highlights including mountains, waterfalls, volcanoes, hot springs and lakes; Iceland is also a great place to head to in order to see one of the world’s most spectacular natural phenomena. The clear skies offer perfect conditions to see the Northern Lights – otherwise known as the Aurora Borealis – which sees a display of solar activity that creates a dazzling array of dancing colours. There are several cruises departing from the UK that can take you to see the Northern Lights in Iceland in 2019. Our guide provides everything you need to know with regards to catching a glimpse of this amazing occurrence. Without getting into the more complicated details, particles from particularly active areas of the sun are carried across the solar system towards the earth. The atmosphere prevents many of these particles from entering the earth, however, as the particles are also electromagnetically charged, they are capable of entering the atmosphere in the areas surrounding the earth’s magnetic poles. These particles are present within an elliptical oval, which spans areas including Alaska, Canada, Greenland, Iceland and Norway. The particles combine with earthly atoms and molecules that ultimately leads to the production of photon energy, which is released in the form of light. The colour of these lights is not restricted to lighter shades of green either, although this is the most common as it is produced as a by-product of reaction taking place at around 60-150 miles altitude, where oxygen is in abundance. During periods of high solar activity, you may see many other colours including red, which is the rarest of all as it occurs at a much higher altitude of 150 miles or higher, where there is less oxygen. Blue and purple are also uncommon as they occur at lower altitudes of 60 miles or less, where the reaction takes place with nitrogen instead of oxygen. Yellow and pink colours may also be present and these are a result of green mixing with the either red or blue. By there, we are referring to Iceland. This is because it is perfectly situated within the elliptical oval, where the solar particles are being attracted to the magnetic poles. As an island, it is much more accessible than the northernmost reaches of Canada or Norway, although these still provide suitable alternative options. Cruises to Iceland are available throughout the year, with lines including Celebrity Cruises, Cruise and Maritime Voyages, P&O Cruises, Cunard and many more all operating sailings out of UK ports. Docking in ports including Reykjavik, Akureyri and Isafjordur will provide you with plenty of opportunities to see the majestic display of dancing lights. Although cruises are departing throughout the year, the best time of year to go is when the temperatures are colder. 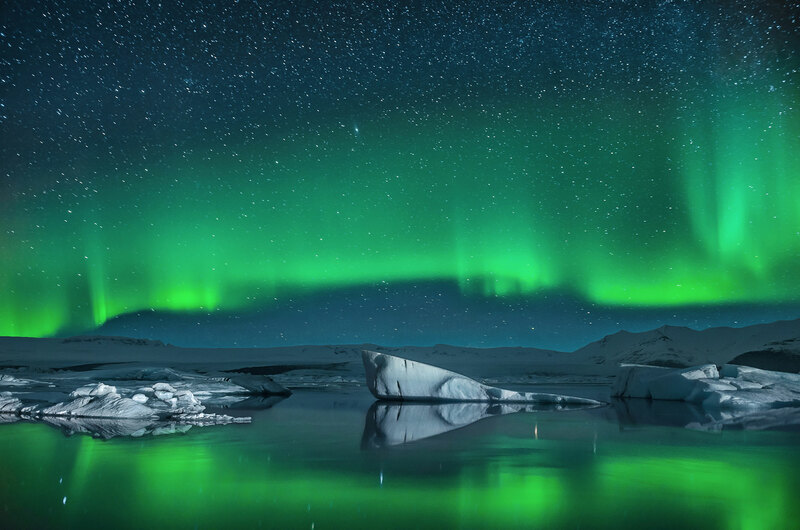 January to March is, therefore, an ideal timeframe to visit Iceland as the skies will be much clearer. April to August brings longer days which, despite an increase in solar activity, will limit your overall opportunities for seeing the Northern Lights. You may be better off waiting until the autumn months of September and October, during which time the days are considerably longer. 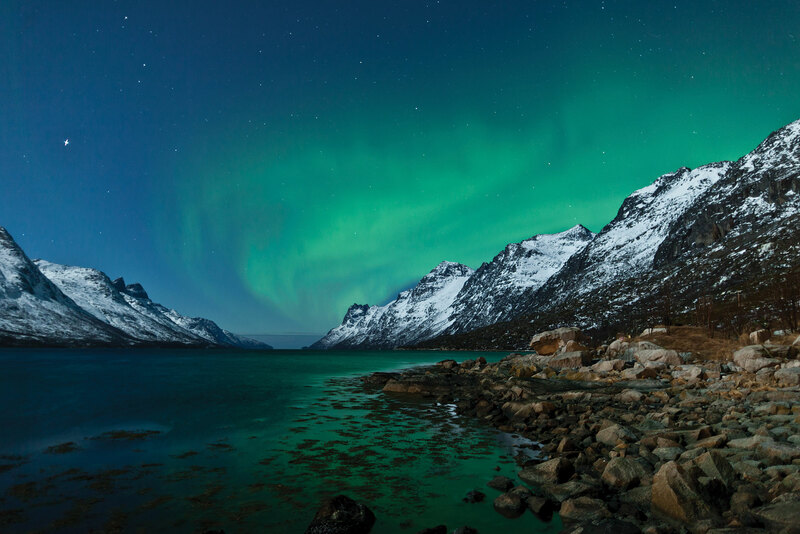 When embarking trying to see the Northern Lights, bear in mind that you will want colder temperatures, which should in-turn pave the way for clearer skies. You will obviously want pure darkness too, so you will want to be far away from urban settlements that emit light pollution. The last thing – and unfortunately this is very much out of your control – is to hope for high concentrations of solar activity. Solar Cycles offer an ideal way of determining how high your chances will be and 2019 may be one of the last ‘good’ years to see the Northern Lights within this particular cycle. 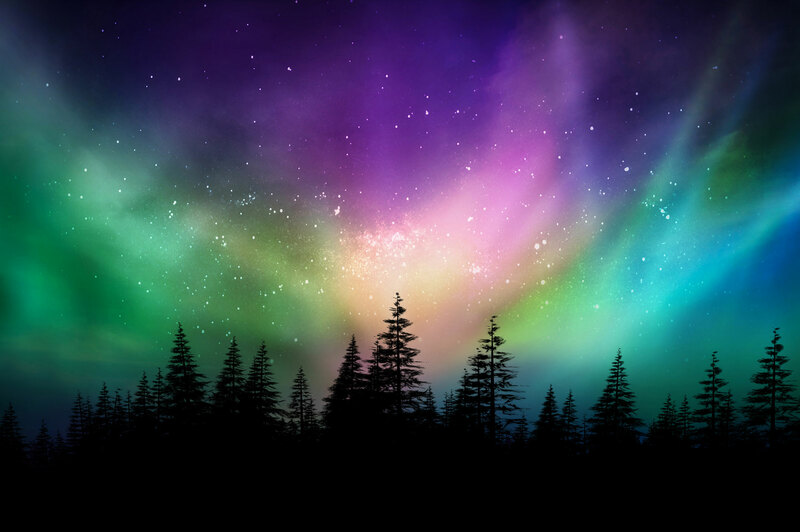 The last solar maximum took place in June 2014 and it is widely thought that the Northern Lights are at their most prominent during the three years either side of this. So there really is no better time to go and enjoy it for yourself. When it comes to embarking on a cruise out of the UK, there are quite literally hundreds of options available. Many of the world’s most renowned lines offer sailings to a variety of the most beautiful destinations on earth, with Iceland being one of a wide range of options available. For more information or to book a cruise for yourself, contact our friendly Cruises from the UK sales team via the freephone number above or complete the online enquiry form and let us get back to you.